It started in the news as a meme. We didn’t understand how contagious a meme could be. Face-biting was how it started. A single news article began the disease. Our inter-connectedness spread the meme. We all were amused by it in the beginning. Some evening news fare, something shocking, titillating to take our minds off our own problems, our lack of a job, our inability to pay our bills, our national obsession with corrupt banks or less than honest politicians. Seemingly unrelated events happening in different countries all linked by an attack which culminates in one person biting and chewing off the face of another. The CDC, Center for Disease Control in Atlanta was quick to issue a statement that this was not a zombie apocalypse. Just because they had made a website last year about what to do in the event OF a zombie attack, they did not want to appear to be creating a panic now that something that looked like a need to feed on human flesh had occurred. Bath salts were, of course, to blame. It only made sense that something no one used in any fashion other than to bathe with, and having done so for oh, at least a thousand years, should suddenly be responsible for making people in six different countries on six different continents, immediately decide, within a few days of each other to dine on human flesh. That made sense, right? Except that Mr. Du in China didn’t use bath salts, neither to bath in, nor smoke or eat or ingest in any fashion. But that was overlooked in the news. After all, it was the eating of the people, not the cause of the dysfunction that made headlines. Mr. Du and several of the other attackers did have something in common but no one at the time recognized it. It wasn’t important then. We moved on past the events of quiet rage, subtle acts of suicide, less subtle acts of calm homicide as people imperceptibly became willing to do more heinous acts than they were yesterday. We didn’t notice them because they weren’t news, unless you happened to be surfing the internet to discover a story, or series of stories where highly intelligent, very stable young men and women decided that life wasn’t worth living. They made a chart, calculated the value of their living and their dying and their ability to contribute to the planet and the results were less than satisfying. The only logical choice was to shoot oneself. So they did. They gathered the tools, the resources, organized their lives, left their notes and simply made the logical choice. Later, when their families, friends, teachers were asked, they were all said to be straight A students, great in school, had a bright and promising future. But no one told them that. A woman in Russia throws her two children out the window. She was tired of caring for them. She does not run from the police. She appears relieved. The shock of the neighbors is evident and in a few days passes, exhausted by their constant struggle to move faster, be faster, make more money, in a world paying less money, demanding more of them than they can muster up every day to keep up for no reason they can conceive. That same afternoon, four men walk in front of a train in the same town, within a few minutes of each other at different stations during rush hour. A group of young people scattered across the entire planet die within two minutes of each other. Twenty of them. Sending messages to friends who are not in the car with them. They know its dangerous. They believe they can drive and drink and text without consequence. Sixteen of them will die in the next hour. The others will last through the night to die in the early morning. They were not the only teens doing this, they are the only ones to die. Nine hundred others will kill other people but not die. They are unconcerned and will text again as soon as they are able, providing the legal system does not send them to jail first. What do all of these things have in common? Food, stress, heat, less resources, more work, more aggravation, mounting terror about the future. These people are all responding the same way animals do when they are under great stress. With mounting rage toward everyone around them, if they cannot direct that rage they turn it inward and die, by any means at hand; heart attack, food poisoning, stroke, diabetes, literally eating themselves to death. The meme is in our lives already. 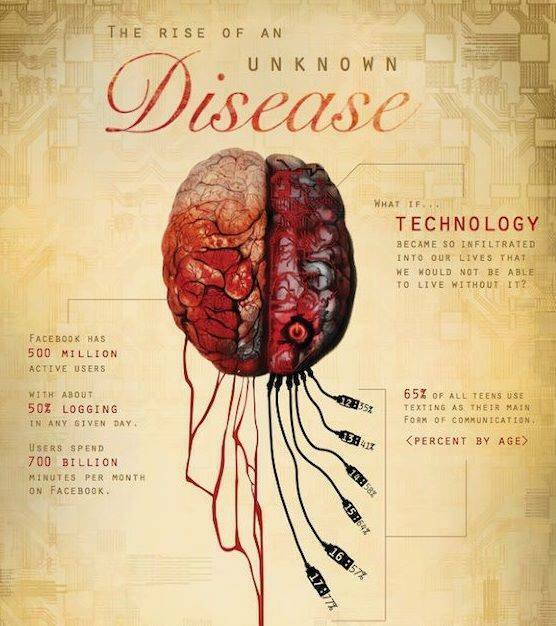 Spreading through our technology, our vitriol, our hatred of each other. This is a manufactured thing. Created by the people who understand what causes division and they use it to keep us unaware of what is being done. We are not believing our eyes, we are believing their rhetoric. The meme that is killing us is our cognitive dissonance between the idea of having billions for weapons and nothing for healthcare, having billions for banks but nothing for schools, keeping corporations subsidized while children sit in freezing homes in the winter and sweltering in cities without power in the summer, closing down programs which used to enhance their lives while those special people sit in their massive mansions, with six people who sit in rooms separated by a distance of football fields and emotional chasms as far apart as stars. The meme you see killing us was started nearly a hundred years ago and is now amplified by our technology and our inner rage, our inability to change a system of things working outside of our ability to make a difference by people who could care less if we lived or died. The meme we are dying from is carelessness. Care Less. Looking down at your device as you walk down the street, you care less. 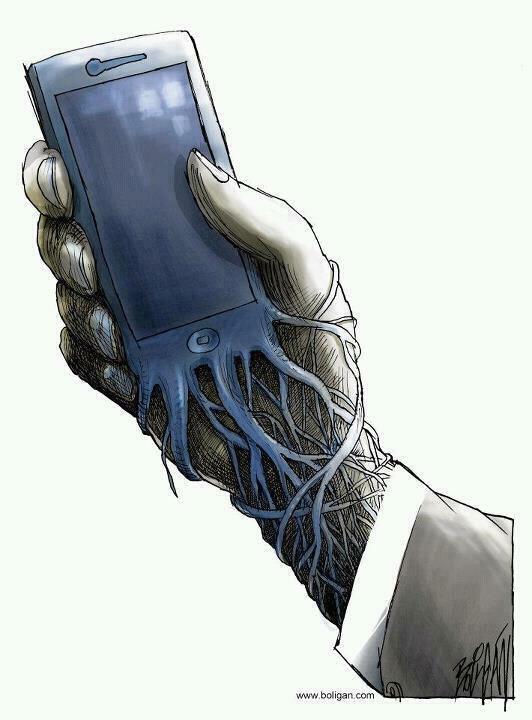 Using your technological toy, you care less. Playing with your latest device, you care less. Past rage, past frustration, past ennui, past carelessness, lies death for us all. The zombie apocalypse is with us right now. It has a bright LED screen and fits in the palm of your hand. This is the fufillment of the Terminator prophecy! The machines have taken over! !